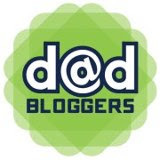 Blogger Idol 2011 | Daddy's in Charge? And the winner of Blogger Idol 2011 is….. Anyone can be a writer, it's just a matter of putting your fingers to the keyboard. When I started out in the blogging world, after quitting my job in television news to raise my two boys, I had no idea who would even consider reading my blog. I had two devout readers, my sister in law and my niece. I was able to make them laugh and I was loving it. Then hits started coming in from China and Bulgaria and Tennessee and I realized that despite the distance and difference in beliefs, the entire world had something in common, we all just wanted to be entertained. Somehow I was now acting as a sort of United Nations, minus the diplomatic immunity of course. How could I, a stay at home dad from New Jersey have anything in common with a reader in Bangladesh? Well it's simple, we are really not that different after all. We all have the same problems with our kids, our in laws, our spouses, our pets, and the only thing that separates us is in the distance between us. Somehow the billions of us on this planet are connected, there just happens to be a few walls in the way of letting people see that. I don't claim to be the best writer or blogger, that is for others to decide, people read blogs for different reasons. I have my opinions as to what makes a great blog and I am sure that you do to. What I consider interesting or funny might not appeal to everyone else, it's what makes the world go around. 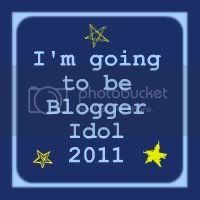 Am I worthy of being the winner of Blogger Idol 2011? I don't know. I might not have the reach that some of the "big blogs" have, but if I have at least one reader out there in Shanghai, Sofia, or Knoxville that wants to read what I have to say, then you can call me a winner. I feel like I just gave up some trade secrets. Oh well. How cool would that be if you knew the guy that won Blogger Idol 2011? It would be awesome for me because I see that guy in the mirror everyday! I don't think that I have won anything since I was a cub scout. I was undefeated in the Pinewood Derby in my three years in scouts and was pretty proud of that. Of course the difference is that my parents and grandfather helped me build those cars, and I don't think that I am going to ask my mom to help me write anything in this competition. I am on my own now, just me. I should say me and my loyal readers. Just wanted to stop by and say congrats! I look forward to getting to know you and the other contestants!